Applications are now open for the 2019 Public Engagement Awards. In its second year, these awards recognise and celebrate researchers undertaking innovative and exemplary public engagement activities and PhD students are invited to enter. 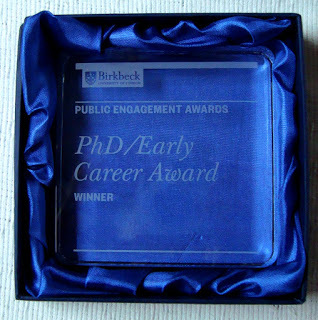 Prizes will be awarded in five categories; including an Early Career Award, for doctoral students or postdocs in their first two years in post. The deadline for applications is midnight, 17 February, with an Awards Ceremony taking place on 26 March. Details of how to enter, including guidance notes, are available on the awards webpage. If you would like to discuss your application, please contact the Public Engagement Team or join their Q&A on 21 January 2019 (12.30, B04, Malet Street). “Public engagement is integral to my research and to publicising my work. I also enjoy it. 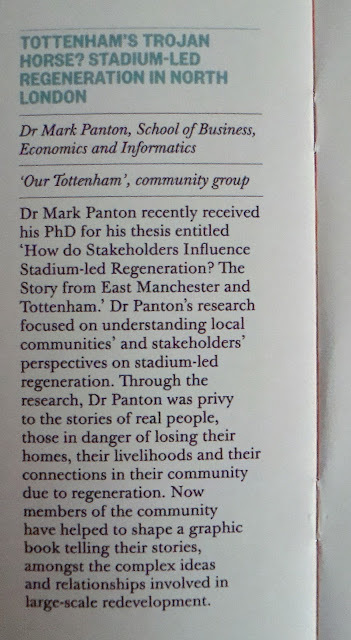 My PhD thesis was about how local communities are able to engage with stadium-led regeneration. It focused on the areas of Tottenham and east Manchester, involving the local football clubs Tottenham Hotspur FC and Manchester City FC. I worked with a lot of individuals and groups at both of the sites and still attend community meetings as the issues are ongoing. The original idea for a graphic book came from a poster that Amanda Lillywhite, my co-author, did for a conference at which I was speaking about my research and it successfully got across some complex ideas. From there we eventually went on to create a 52-page graphic book, Tottenham’s Trojan Horse? A Tale of Stadium-led Regeneration in North London to disseminate some of the findings from my PhD thesis. Amanda is a graphic designer and illustrator who creates comics. The voices of some local people from Tottenham were in the thesis but we felt there would be a benefit to giving them faces. This would be a visual reminder that these are people just like you or I – and that there is a very real negative impact on them because of decisions being made in relation to the new football stadium in Tottenham, its associated developments and the plans of Haringey Council. In short, it brought my research to life. The graphic book has been designed to be accessible to a wide audience aged fourteen upwards. We also ran a number of public engagement events related to the graphic book and the issues it portrays. These events have included the launch of Tottenham’s Trojan Horse? at Housmans Bookshop in London; organising an event Celebrating North Tottenham at Coombes Croft Library and being part of the Love Lane Residents Fun Day, both in Tottenham. 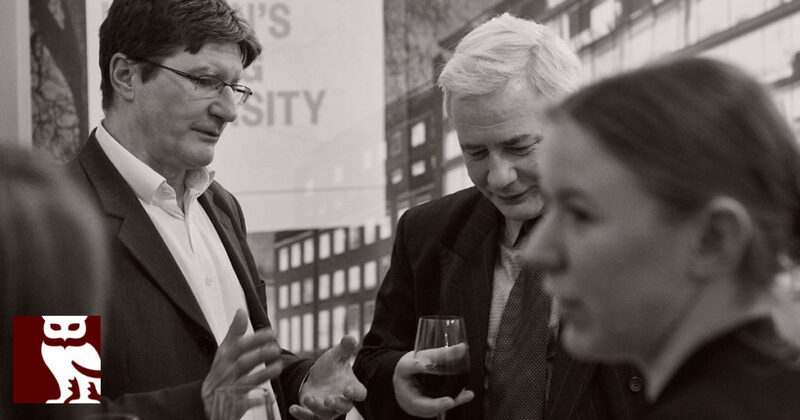 These events offered me and my co-author, together with those involved in fighting demolitions of their businesses and homes, opportunities to discuss the book and the issues it raises to different audiences at a range of events. An impact grant from, Birkbeck University of London, allowed us to provide 300 free copies of the graphic book to individuals and community groups in Tottenham, local people with whom I had worked, local councillors, journalists and people who had an interest. The grant allowed for two print-runs and post-cards, which helped with promotion. The biggest challenge was reducing a 300-page thesis into a 52-page graphic book. Other challenges related to methodological issues such as anonymity of interviewees. Some people agreed to be featured; some spoke publicly on the record and for others that I could not contact, Amanda chose to use a sketchy style of drawing that conveyed real people without resorting to portraiture.